James Watt was a significant figure in the timeframe of the Industrial Revolution and is remembered today as a noted inventor. For example, he improved upon the invention of the steam engine, which had a profound impact on production in England and around the world during the time of the Industrial Revolution. For example, James Watt’s steam engine transformed the textile industry, mining operation and general production facilities. 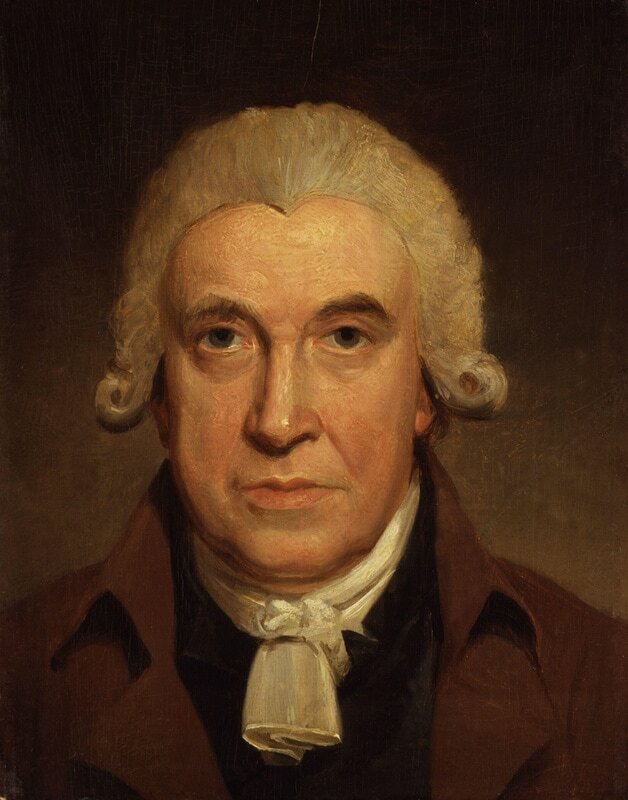 James Watt was born on January 18th, 1736 in Scotland. His father was a successful ship builder, and so Watt grew up surrounded by builders and engineers. After attending school, Watt started work as a maker of mathematical instruments, but quickly he became much more interested in the new steam engine technology that had started to take off. In 1764, Watt was given a Newcomen steam engine to repair. He started working on it and soon realized that it was inefficient. As a result, Watt wanted to improve the design. He was successful, and found a way to prevent steam from escaping from the engine by adding a separate condensing chamber. Watt patented his new steam engine design, and it paved the way for other mechanical design work. Watt continued working on steam engines and in 1775 he partnered with Matthew Boulton, and together they began to manufacture steam engines. Steam engines were bought by mine owners, cotton mills, and waterworks and as a result, the steam engines they produced helped to power the industrial revolution, allowing once very manual work to be replaced by engines. Steam engines helped to improve productivity and increase efficiency. The Watt and Boulton partnership was very successful, and become the most important and sought after engineering firm in the country. Watt and Boulton became wealthy men, and in 1800 Watt retired from the firm. Watt continued to research and he invented a number of important mechanical items including the steam indicator which records pressure inside the engine. Watt died in 1819. The Watt, a unit of measurement of mechanical and electrical power, was named after James Watt in remembrance of his life’s work. As well, his contribution to the steam engine made him one of the most significant inventors of the Industrial Revolution, as he helped improve mechanization and production.